It always amazing with famous people, particularly those that sit atop the world stage, to find out things, even after decades, that we didn't know. It’s interesting information. But most of all it reshapes how we understand them and the how these new surprises might have shaped the world they touched. 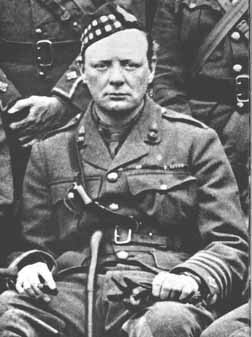 Such is the case with Winston Churchill and his underreported years as a journalist and war correspondent. This is the world that Simon Read takes us into in Winston Churchill Reporting: Adventures of a Young War Correspondent . Say the word immigration today, and the political implications are both ugly and controversial. On the plus side a survey out just this week shows that a significant majority of young people in the US see themselves as citizens of the world, and not just citizens of America. A full 58% feel that the US is no better than many other countries in the world. 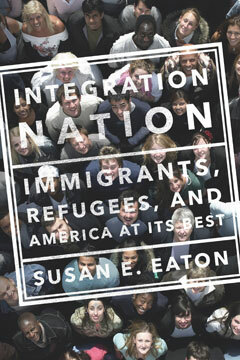 It is against this backdrop of hope and acceptance, that Susan Eaton (Integration Nation: Immigrants, Refugees, and America at Its Best) explores real people doing real work, to fully realize the power of immigration and integration and to make us stronger in what certainly right now seems like our broken places. While I have not seen the movie, I do know from talking to some teens that the new film Pride and Prejudice Zombies has actually inspired kids to ask questions about Pride and Prejudice and Jane Austin. It's a surprise that in our media saturated culture, at a time when texting seems like long form communications, compared to Instagram, many kids are still interested in reading. How is this possible? 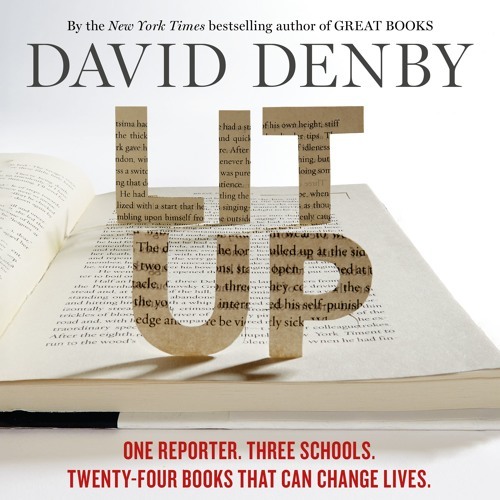 Long time New Yorker staff writer and film critic David Denby went back to High School to find out how students begin to appreciate reading and to see if screen obsessed teens can actually be inculcated in the pleasures of reading. The result is Lit Up: One Reporter. Three Schools. Twenty-four Books That Can Change Lives. How many times have you gone to the movies, or to an art exhibit or read a book and not really felt that you’ve completed the experience until you’ve talked about the movie or show or exhibit with someone else? Either the person you went with, or somebody who read or saw the same thing. This is at once both the most primal of social media and also emphasizes the importance of opinion and criticism. Both give art context and, through the process of discussion or even argument, the ability to sort out, to understand and process what we saw. 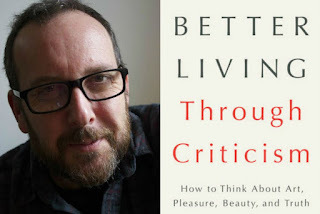 This is and has been the job of critics and criticism in our society. In this why criticism is like legal thinking. It marshals and structures ideas, in ways that give art its power and forward thrust. 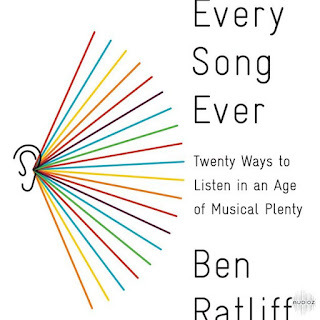 With every song in our pocket, why do we listen to the same stuff over and over and over again? This year, in a very tired and traditional way, the Grammy’s focused on the world of Pop music. But the fact is, no matter how traditional the show, what’s undeniable is that the world of music is nothing like it was twenty years ago. Today, in your pocket is virtually all of the world's music. The long tail of music has never been longer. And yet in our music, not unlike our politics, our confirmation bias leads us over and over and over again to that with which we are familiar, which makes us comfortable and safe. Couple this with streaming algorithms that lead us back, over and over, to where we started. Yet with so much opportunity, with so many options, how do we expand our tastes and our music imagination in ways consistent with all of this new technology? One way is to start with a new book by long time NY Times jazz and music critic Ben Ratlif, Every Song Ever: Twenty Ways to Listen in an Age of Musical Plenty . We are all driving cars with parts made all other the world. Our phones, our appliances, our banking is either made, touched and/or connected to every part of the world. Globalization is not going away. In fact, it expanding to now include even our health care. 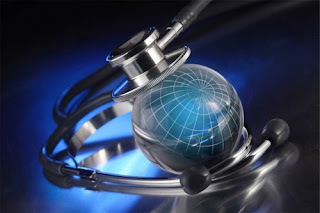 Where once the rich might engage in medical tourism for cosmetic or exotic procedures, today medical tourism is an international businesses taking place all other the globe. Like the free flow of money and ideas, the free flow of treatment could soon become the future of health care. Sasha Issenberg reports from the front lines in Outpatients: The Astonishing New World of Medical Tourism . I suppose it's the historian's curse that sometimes the people they are writing about become such icons, that getting to the truth becomes impossible. 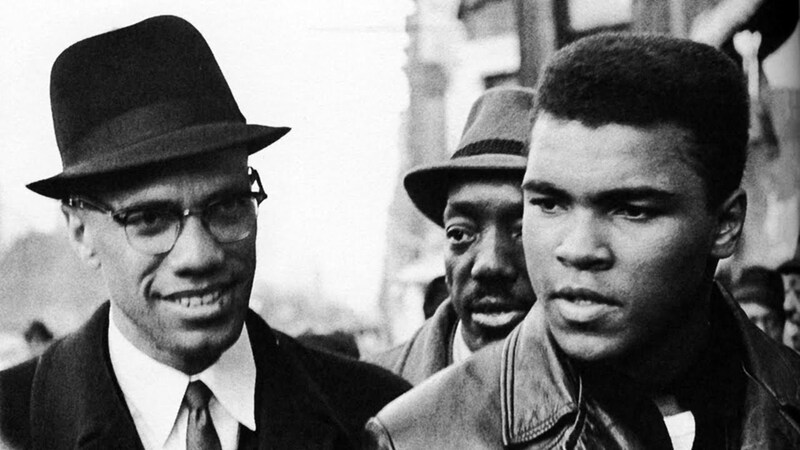 Certainly two such icons of our time, of the civil right era, are Malcolm X and Muhammad Ali. We had all been warned! Millions of words have been written about Donald Trump. But one thing always seem to be certain with Trump. Unlike the warnings in the security industry, past performance is absolutely an indication for future returns. So what exactly do those past performances look like. Long before Campaign 2016 started, Trump telegraphed pretty much everything we are seeing today. 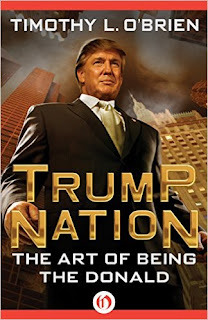 Even 10 years ago my guest, journalist Timothy O’Brien was granted unfettered access to Trump, wrote TrumpNation: The Art of Being The Donald , only to wind up in court. Timothy L. O'Brien is the executive editor of Bloomberg View. He was previously the executive editor of the Huffington Post, Prior to that he was the Sunday Business editor and a reporter at the New York Times. 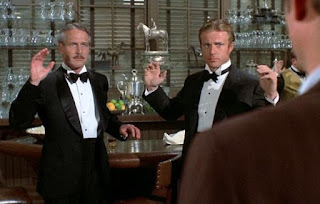 Paper Moon, The Sting, American Hustle, The Grifters, House of Games, The Matchstick Men; just a few of the movies we love about con men and hustlers. Yet in real life, we don’t love the likes of Bernie Madoff, or Barry Minkow, or Steven Kunes or Charles Ponzi. So why the disconnect? 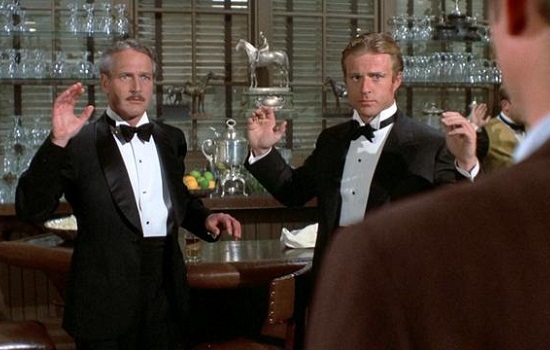 Why do we feel joy in being taken in by movie con men, but not so much by the real thing? The answer may very well lie in what a con man does and what he or she is. How they appear and how they try and manipulate us. Unfortunately the line between con men and salesmen and politicians is fine one. Maria Konnikova shows us the tricks in The Confidence Game: Why We Fall for It . . . Every Time . Think about how much the world has changed in just the past 25 years and then think about how little our politics has changed. Not just that we’re still talking about Clinton and Bush, but that the issues, the ideas and the ways in which they are discussed has not changed. One does not have to throw out the principles of our Founders to retool the political process. In fact, it is precisely those tools that should be used to reshape everything about our politics. The good news is that this effort is being midwifed by young people with new values, who believe in transparency and honesty as opposed to duplicity. Who believe in fairness not obfuscation. Who see that the future is not about fixing the old car, but blowing it up and taking Tesla or Uber. We are at what some have called the millennial moment. When power shifts from parents to children. When adults brought up in a different era realize they've lost touch with what's going on. 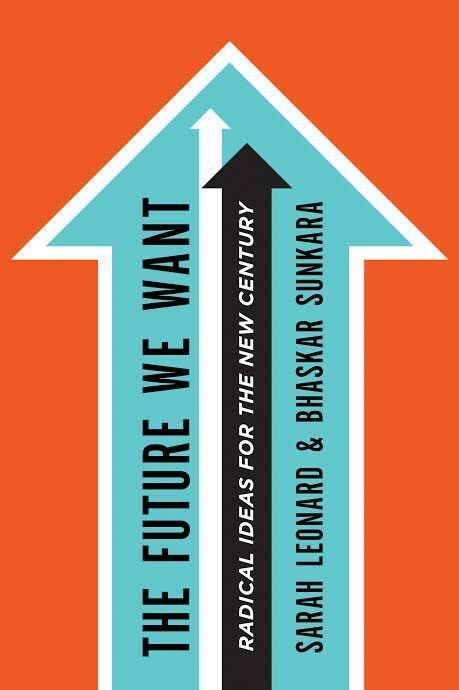 Clearly, "there's something happening here" and few understand it better than journalists Sarah Leonard (The Nation) and Bhaskar Sunkara (Jacobin,) author of The Future We Want: Radical Ideas for the New Century . This year's GOP primary race, perhaps more than others, does not exist in a vacuum. When Barry Goldwater accepted the GOP nomination in the SF Cow Palace in 1964, he spoke of extremism in the defense liberty and eschewed moderation. Ever since that moment, so called conservatives have been falling all over themselves trying to live up to those words. Words that had very little to do with the true conservatism of Edmund Burke or Michael Oakeshott and words that were later called into question by Goldwater himself. This is the context of E.J. 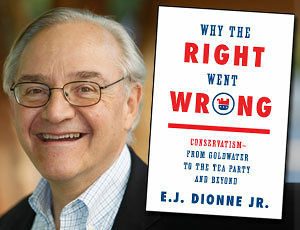 Dionne’s insightful new book Why the Right Went Wrong: Conservatism From Goldwater to the Tea Party and Beyond . There must be a dozen books out right now talking about the disfunction in our politics. Every day pundits, commentators and journalists analyze why our political system doesn’t work. Most all of them don’t see the forest from the trees. 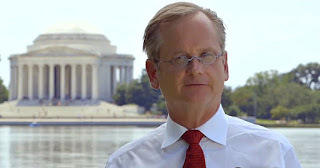 What they miss, and what Harvard Professor and onetime Presidential candidate Lawrence Lessig understands, is that the central institution, at the core of our democracy is broken. Not broken in a way that’s easily fixable by a single election or by a new Speaker of the House. But that the institution itself has been so infected by things like big money, gerrymandering and our modern day methods of campaigning, that just maybe the whole things has to be pulled up by its roots and reimagined and rebuilt.